Amazon Echo had a full two year head start in the US before Google Home was launched. The Echo had a six month market entry lead on Google Home in the UK. Google Home just beat Amazon Echo to market in Canada. This represents the first country where Google has the smart speaker market all to itself. It also points to the assets that Google has to leverage in the battle for global voice assistant adoption. The pre-existing French language model Google had deployed for search on Android no doubt shorted time to market. Why Isn’t Amazon Echo in Canada? The reported holdup with the Canadian market is French-language support — and the smaller size of the market doesn’t help either. While it now does have French-language support, users will have to pick a default language as opposed to being able to switch on-the-fly between this country’s two official languages. This is a similar restriction noted by Amazon for its German-speaking users. They can enable either English or German on their devices, but not both. How Will Google Compete from Ahead? Now that Google Home has entered it’s first market before Amazon Echo we are bound to see a different market and marketing dynamic in the country. To date, Google has been continually reacting to announcements by Amazon. Now it will be able to set the tone of discussion in at least one market. You may recall that Google has some experience with this strategy. In 2009, Android represented less than 4% of total smartphone OS market share and was one quarter the size of Apple’s iOS. Today it commands over 85% global smartphone OS market share. Canada represents the third country for Google Home after the U.S. and UK. Google announced in May that Google Home would roll out to five new countries this summer including Canada, Australia, France, Germany and Japan. The Canadian roll-out suggests the French language model is stable and the launch in the country would only be held up by logistics. The world’s third and fourth largest economies, Japan and Germany respectively, make up the next big prizes given that China is not on anyone’s radar right now other than Baidu and Huawei. 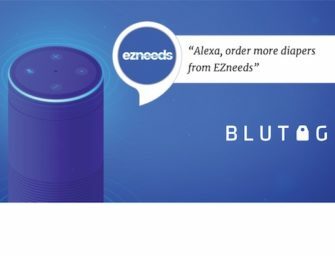 Japan currently has no leading smart speaker vendor, but Amazon has deployed infrastructure that suggests it may be coming soon. Amazon Echo is already in Germany so Google will have to execute a come-from-behind playbook. How Will Amazon Compete from Behind? The bigger question may be, “How will Amazon compete from behind?” It has been aggressive in terms of pricing, product and feature roll-outs to buttress its current market share lead in the US, UK and Germany in hopes of winning over new consumers and suppressing traction for Google. Recent data suggests the strategy is working and the company maintains an 82% market share. Will the company be able to command dominant market share if it isn’t first to market? That seems unlikely, but it is generally not a good bet to count out Jeff Bezos and Co.
We have entered a new phase of smart speaker and voice assistant competition. The global expansion phase is kicking into high gear at a time when Microsoft and Apple are still waiting for their first devices to hit the market. It will be most interesting to see what Amazon does next.